On the plane, when Cody and I were about to arrive in New York City on 12/26, I put Liza's New York, New York on my Ipod and put the earbuds in Cody's ears. A grin spread across his face, from ear to ear. Throughout our adventure, Cody would remind me that we were in the city that doesn't sleep and that we lost our little town blues. Today, my other Little Love, Noah, took me to Liza's last show at the Palace. When she sang New York, New York, that Kander & Ebb song that was written for her and has become the anthem of our city, you can bet that a grin spread across my face, from ear to ear. What a great story. I'll bet Cody's little town blues have melted away for a very long time, thanks to you. 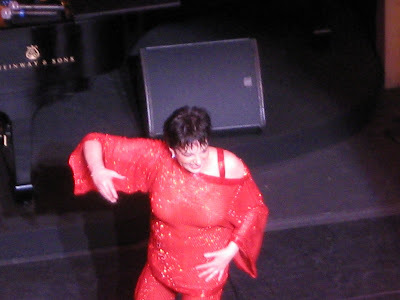 I am a bad gay and never made it to see Liza:( I did see her in AC over the summer, does that count?